We understand your mentors expect a modern, sophisticated onboarding experience -- one that gives them status updates and moves them through the process quickly -- and that you need tools that anticipate your needs and handle the heavy lifting. Good news: we've got what you need! Your custom application form - designed around your program needs - establishes the mentor record, eliminating unnecessary data entry. Built-in tools for tracking volunteer screening. Optional integrated background checks automate the screening process. 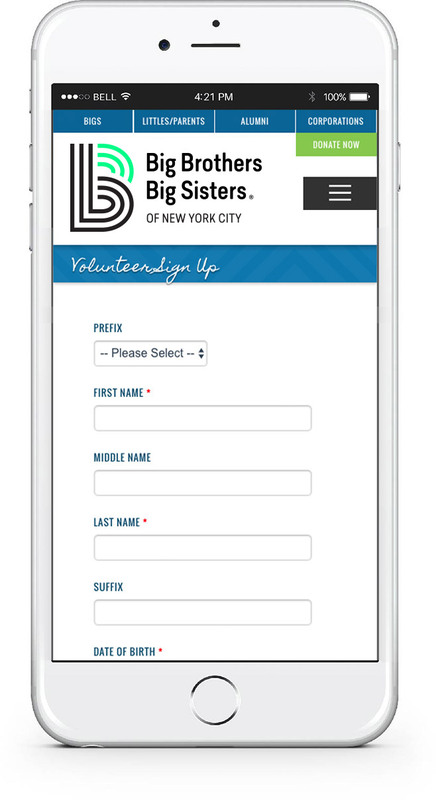 Custom reference forms are automatically sent out to references and feed back into the volunteer record for review and follow-up. Potential mentor or mentee matches are presented in priority order based on shared interests, characteristics, & more. Customize your own match follow-up schedule. With optional birthday, driver’s license and other important reminders. Mentors can securely log their activity hours & notes from a web-enabled device, updating your database real-time. Use your data to tell your story to your community, your board, and funders..
"Innovative Mentoring provides a seamless way to manage our growing program, connect with our mentors and strengthen mentoring relationships to encourage retention." Verified Volunteers helps nonprofit organizations gain confidence in the volunteers working with those they serve by delivering thorough, compliant background checks.